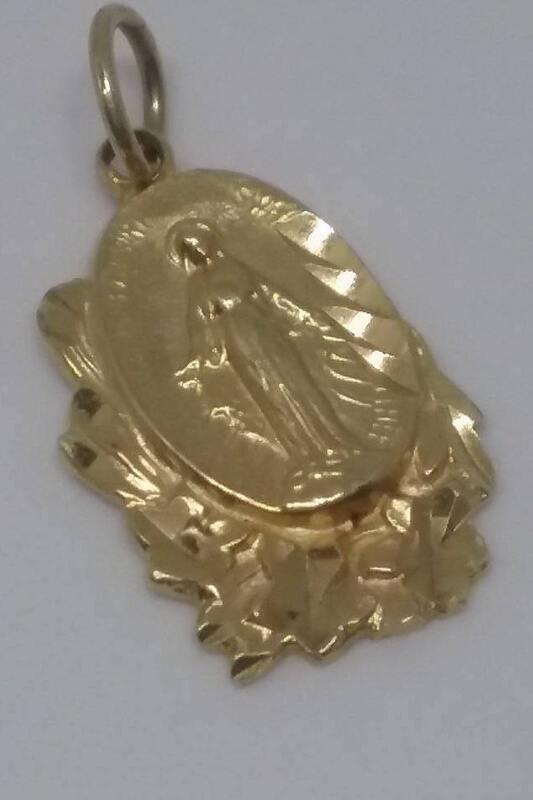 14K Virgin Mary, religious medallion. This charm is approx. 0.5g and is in excellent vintage condition. Saved, but never worn. 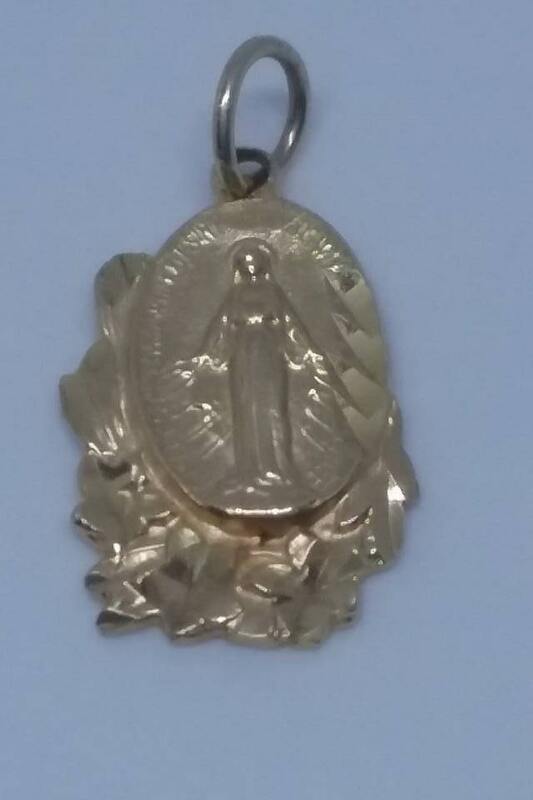 Would make a lovely First Communion gift, or a special charm to add to a necklace or bracelet. 3/4" high. 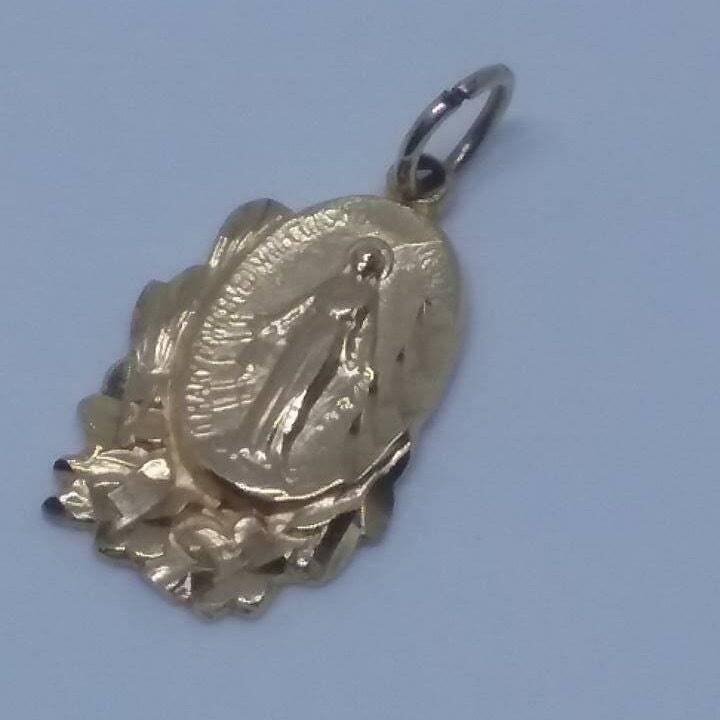 Charm/medallion only...chain not included.